PRICE IMPROVEMENT! 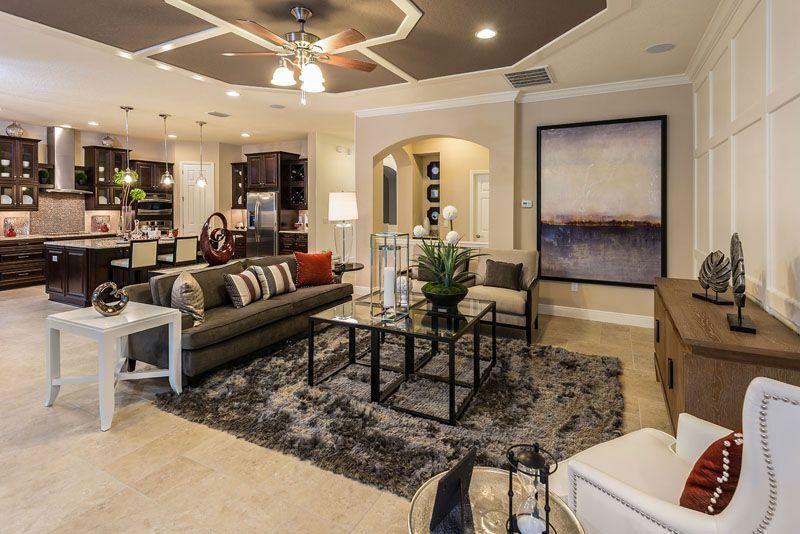 STUNNING WATER VIEWS, CUSTOM HOME in the exclusive gated community of Symphony Isles. Perfect for larger family. 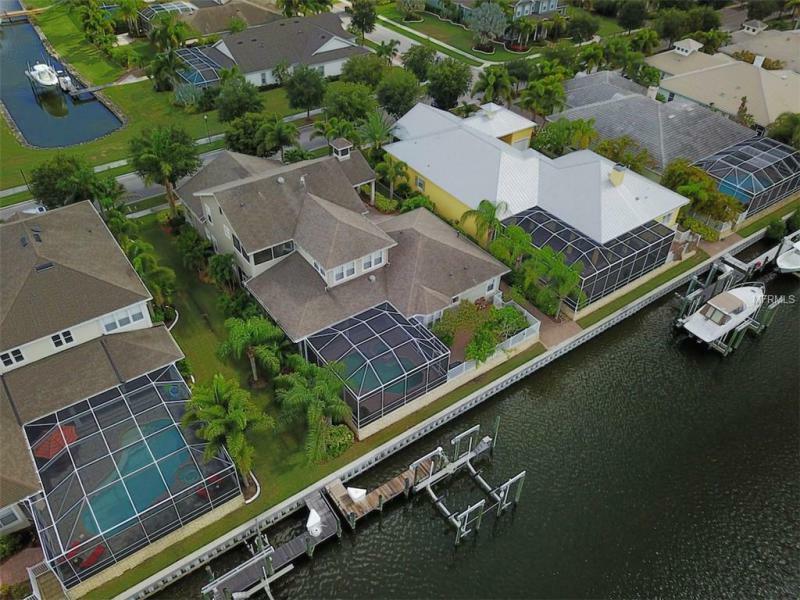 Oriented to provide privacy, outside tropically landscaped w/dock and 14, 000 lb boat lift, direct access to Tampa Bay. Beautiful wood floors and new professionally painted walls. Dining/Living Room Combo. Gourmet kitchen has granite counters, stainless steel appliances (duel fuel stove) dishwasher, microwave) wood cabinetry, dining area, and large pantry. Kitchen is connected to the family room w/wood burning fireplace. The Family Room/Kitchen area opens to a screened lanai w/ pavers, pool w/ beautiful Pebble Tec coating and kitchen area. Â Second floor master bedroom has an oversized walk in closet and french doors leading to a private deck with panoramic views of Tampa Bay. The remodeled master bath has a dual vanity, separate shower/tub and toilet room.Â Bonus room on 2nd floor with built in custom cabinets, wood floors. New carpet in all three upstairsÂ bedroomsÂ and downstairsÂ guest suite. Â Windows replaced with quality Anderson high impact, double-paned, Low E w/ gorgeous wood trim. Hurricane shields for front and back provide complete protection. 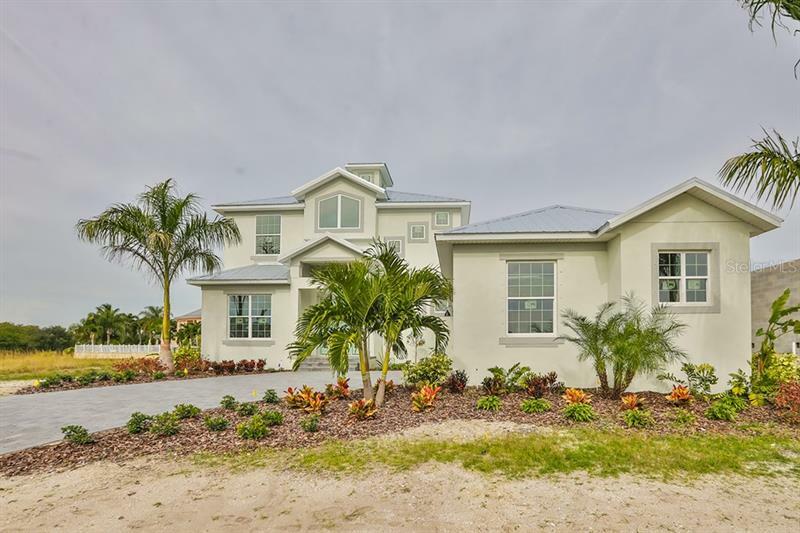 Oversized garage with 8 ft door, abundant storage areas and large closets throughout house.Â This spectacular community has 24/7 security, community pool, clubhouse, private beach access, boat dock, private roads, all with a low HOA and no CDD. GREAT VALUE IN APOLLO BEACH, PRICED TO SELL!